Honestly, I didn’t think the Internet would be very important… I thought it was a fad that would go away as quickly as Silly Bandz, or chokers. I remember a time before the Internet. Working in journalism was, in many ways, much more difficult. Back then, we had to go to libraries for research, and everyone owned a set of encyclopedias. We couldn’t just instantly check facts and get quotes online, we had to go to the source. I also remember when the Internet started to get big. Back then, your computer was attached to the wall and to connect to the Internet you had to use dial up (along with that incredibly annoying dial-up tone). You couldn’t even use your phone at the same time because you used the phone line for the Internet connection. I can’t remember the last time I heard that dial tone. Now I just connect my phone or laptop to Wi-Fi, and I’m able to access the Internet anywhere I am. Tens of millions of Wi-Fi devices will be sold this year, including the majority of laptop computers. Analysts predict that 100m people will be using Wi-Fi by 2006. Homes, offices, colleges and schools around the world have installed Wi-Fi equipment to blanket their premises with wireless access to the internet. Wi-Fi access is available in a growing number of coffee-shops, airports and hotels too. The last time I was in a coffee shop without Wi-Fi? I think it was in a tiny town in the Scottish Highlands, where the cows outnumbered the population 10 to 1. Needless to say, Wi-Fi is important to our world. I'm sure you’ve felt the annoyance of your Wi-Fi cutting out suddenly, without any warning whatsoever. When mine did just that yesterday, it was as if someone had cut off my arm. I couldn’t do anything: I couldn’t send an email, watch Netflix, or check the news. Isn’t the first thing you do after moving is connect your Internet? And truth is, the world as you know it would go dark without the Internet. I’m not suggesting an apocalypse or anything, but it’s clear that our everyday lives are mostly carried out online. From banks, to telecommuting for work at home, you name it. Of course, that’s also discounting the notion that you have an untold amount of information ready at your fingertips. More important, however, is that we are dependent on our Wi-Fi connections. Sure, 4G on our phones works for a while, but that’s a temporary (not to mention expensive) fix. But what if I told you that something else is coming? Something that could eventually replace Wi-Fi? 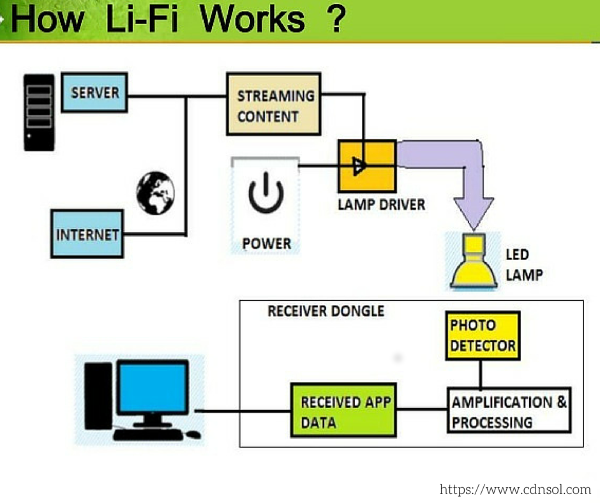 Let me introduce you to Li-Fi, which uses LIGHT instead of radio waves to connect you to the Internet. Sounds pretty damn cool, huh? 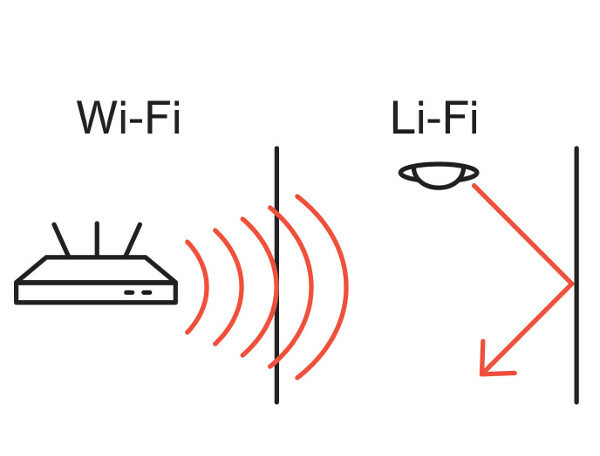 Techworld.com writes, “As we now know, Li-Fi is a Visible Light Communications (VLC) system. This means that it accommodates a photo-detector to receive light signals and a signal processing element to convert the data into 'stream-able' content. Li-Fi is faster and more secure than Wi-Fi because it depends on light waves, which can’t pass through walls like radio waves can. Li-Fi is much faster than Wi-Fi, with reports showing that it can already send 10-50 times more data than Wi-Fi, with possibilities of up to 100 times more. It seems like the perfect technology to jump on, but it’s not without its downsides. Currently, Li-Fi is only available with a special USB drive, Li-Fi needs visible light, which means that light will need to be on during the day, and you’ll need special LED bulbs in every room of your home. These are problems which could stop some consumers from jumping on-board, no matter how fast the speed is. 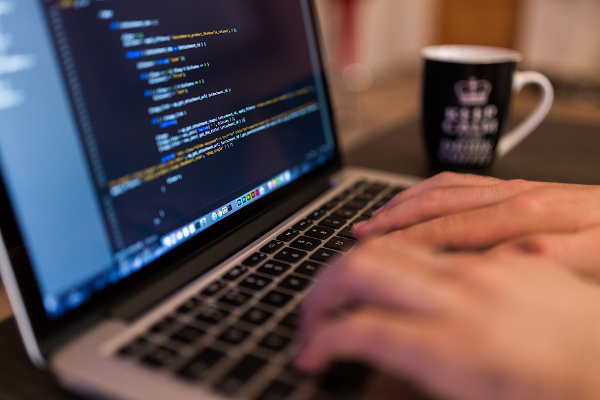 However, some analysts think that instead of replacing Wi-Fi, it will be used in tandem with it, creating a faster and more secure connection to the Internet. Currently there’s only one provider of Li-Fi, called pureLiFi. pureLiFi was founded by Professor Harold Hass at the University of Edinburgh, who coined the term “LiFi” and first demonstrated it during a TED Talk in 2011. pureLiFi has two different products available, including a USB device that connects to a desktop, and a ceiling unit that connects to an LED light. Even though it only has two products currently available, don’t think that this tech being in its infancy means it should be ignored. In fact, Bloomberg reports that Apple might be working to make iPhones Li-Fi capable. If Apple is interested, you can be sure that you should be too. Imagine if you could be in that garage with Steve Jobs… That’s what Li-Fi could be offering you, which is why now is the perfect time to buy. While we’re still unsure of where exactly Li-Fi technology is going to go, but we do know that Li-Fi is an important advancement that could eventually change the way we connect to and interact with the Internet. Christian DeHaemer tells you an epic story of loss, heartache, and redemption: FAANGs, call girls, and $343 profits... plus the mother of all crashes. 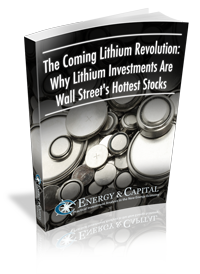 Energy and Capital editor Keith Kohl dives into the world of the "Internet of Things" and shows readers the stocks that are outperforming the likes of Google and Apple.